Limited-edition reader is intended for "the most passionate booklovers." Kobo's limited-edition Aura HD brings the pixel density race to e-readers. Kobo's e-readers have never attained the popularity of Amazon's Kindle or Barnes & Nobles' Nook, but that doesn't mean they aren't willing to take chances. The company just announced its new, limited-edition Kobo Aura HD, a 6.8-inch e-ink reader with a high-resolution 1440×1080 (265ppi) display. 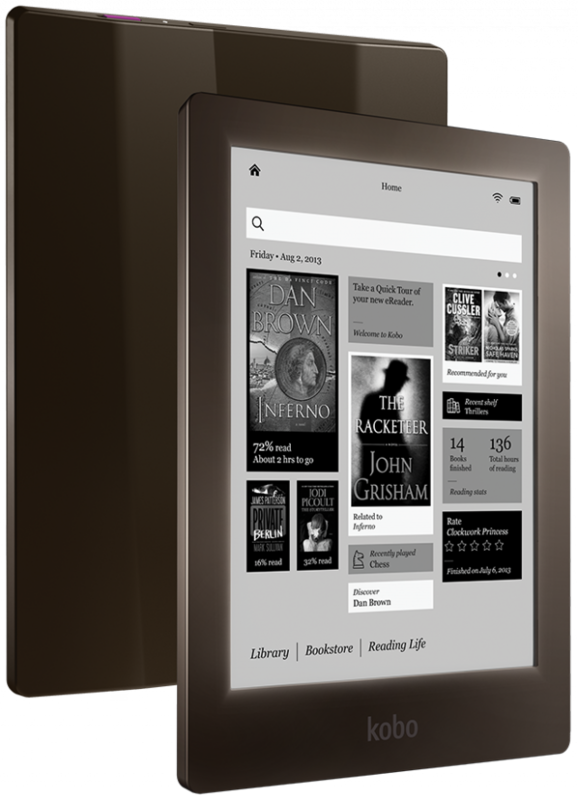 "Kobo Aura HD is designed for the most passionate booklovers—those who devour hundreds of stories each year—who asked us to create the ultimate eReading experience," said Kobo CEO Michael Serbinis in a press release. "Kobo Aura HD is our way of celebrating these customers." Engadget reports that the Aura HD is a "limited edition" device rather than a replacement for any existing product, though there are no additional details about how many of the readers will be made or how long they'll be offered for sale. At 0.46 inches thick and 8.47 ounces (a little over half a pound), the Aura HD is a bit chunkier than e-readers like the Kindle Paperwhite. But as we've seen in high-density tablet screens, text should be quite a bit smoother (and thus more paper-like) than it is on lower-density screens. The e-reader also includes a screen backlight, 802.11n Wi-Fi, a micro-USB port, and 4GB of storage (expandable by 32GB via a microSD card). The new e-reader will run you $169.99. It can be pre-ordered in North America starting on April 16 and will be available on April 25, with availability in other countries coming in May. Andrew Cunningham / Andrew has a B.A. in Classics from Kenyon College and has over five years of experience in IT. His work has appeared on Charge Shot!!! and AnandTech. Don't have an Ars account? It’s fast and easy to register for one. If you don't have an account yet it's free and easy.